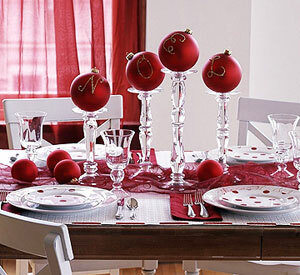 With only 4 days left before Christmas, I'm sure you're all scrambling with last minute preparations which include rushing to the mall for any gifts that were forgotten, and the grocery store for all of the dinner fixin's that you'll need for the main event. 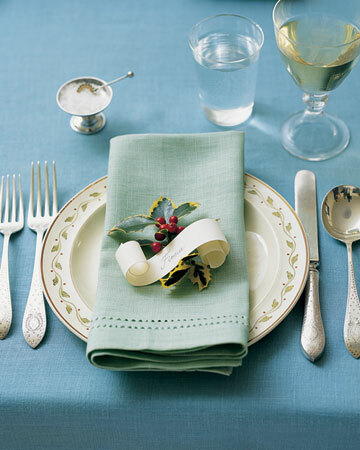 But I bet you're leaving the table setting to the very last minute. Right? I hate to admit it, but I do that too. And I mean really last minute. Like, down-to-the-wire-guests-are-arriving last minute. Fortunately for me, I don't have to worry about that this year since Steve's mom is hosting Christmas dinner. 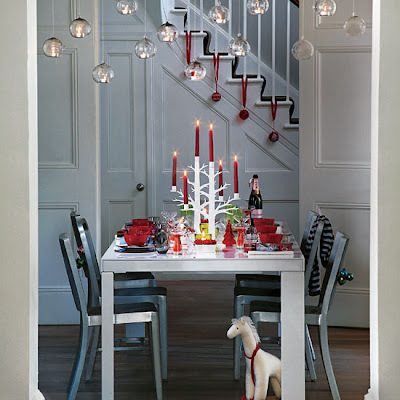 But, for those of you who do need some ideas or have no idea where to start in terms of decorating your table, I've pulled a few photos that inspired me and will be sure to do the same for you. 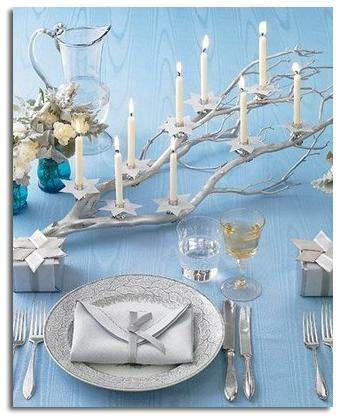 Such a simple table setting yet so elegant. 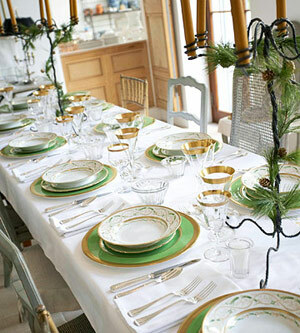 This just goes to show that you don't need a lot to make a chic table. 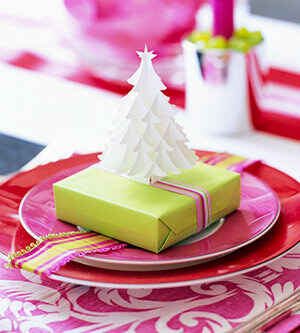 Pinks and Fuchsias to a Holiday table setting is A-Okay with me. I love the theatricality of the branches. Adds such simple drama to the table. Understated elegance with a dose of modern elements. Love, love, love the light fixtures! They're like water droplets suspended in the air. 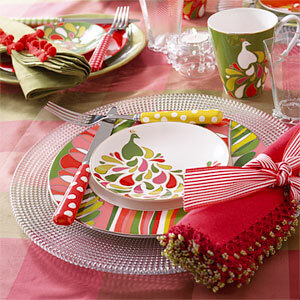 The combination of the punchy pinks, reds and lime greens are a great twist on traditional holiday colors. 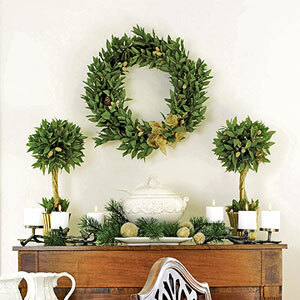 Keeping it simple and natural creates a cozy, comfortable setting. Not something I would normally go for, but I like the splashes of color against all of the white. 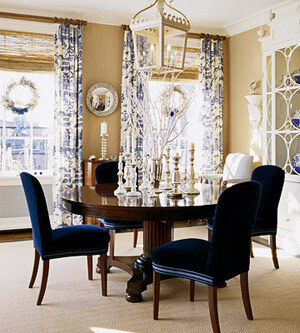 A deep indigo blue lends a regal touch to the holidays. 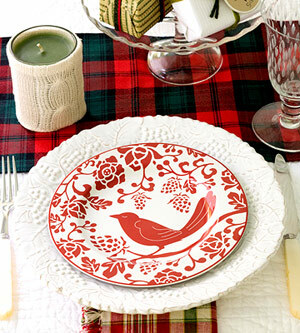 A playful country feel is created through the use of different textures, patterns, and colors. Gotta love all of that color, no? With repeated elements, you'll definitely make a statement.